If you're interested in starting a storytelling business, this page will help you to create stories using texts. Use folktales and legends to make your own stories. Have you ever gone to read a book to someone and find that the written word is just not that conducive to the spoken word? Indeed, just because a story is in a text, it does not mean it will automatically be a great story to tell. However, storytelling is more than just choosing a story. It’s about making the story come to life. You need to take the subtleties and the cultural nuances, interpret them, and yet still somehow make them your own. In this article, my goal is to help you do just that. Take the bare bones of a story from text that interest you, and make an outline of the events. Fill in the details on your own; now, you are getting closer to telling a story. Forget about the original text – at least from a storytelling point of view – run with putting in new details and truly create your own original version. To tell a story effectively, you need to tell it in your own words. That’s why it’s important to work from an outline: it makes you fill in the rest with your own thoughts and words, allowing you to create the story in your own mind. If you are thinking about starting a storytelling business, and you're interested in the basics of storytelling, you can read more on how to get started here. Keep in mind that as you fill in the details, have those classic why, who, what, when, where, and how questions in mind. Then use your five senses to fill in the details: touch, taste, smell, see, and hear elements of your story – then describe them. If you need help sourcing a story and seeing its deeper meaning, you can consult a folklore dictionary. These can prove to be very useful in helping to find out origins and meanings behind legends and folktales. Once there was a maiden with very long hair that brushed the ground. She was trapped in a castle. One day a young man came across her hair hanging out of a window. He decided to help set her free. You might recognize this story from somewhere else. However, this is the bare bones version. What’s great, however, is that you’ve already got characters, a location, a sense of time, and even a conflict to resolve. Now, you can plug in your own words. Most of us just love a good story. This one volume edition includes 8000 articles by specialists in the field. Once there was a fair maiden. She had long golden hair that hung in braids. It was so long, it stretched from high in the castle to the ground far below. She was a prisoner in that castle. Every day, she hung her hair out, hoping someone would figure out how to rescue her. Into town galloped a knight. His armor was polished to such a high shine, he often stared at his own reflection. He stopped to get water for his horse. He looked down at his armor and noticed two long golden braids hanging from somewhere high. As he looked up, he saw a young lady with a sad face. Her hands propped her head up as she gazed across the landscape from a castle window. It was almost as if he heard her calling to him, beckoning him to save her. Just by using a few of the five senses, I expanded this story into two paragraphs. I could actually go on and on – fleshing the story out, adding more details every time. Furthermore, expanding upon the earlier example of the story, I am adding my own details and words to a well-known story – but all these words have my own spin, my own thoughts and ideas in the story now. Make sure that you choose a story that really resonates with you. After all, you will tell it many, many times and it will become part of you. If you don’t like it, why would you want to put all that time and effort into it? If you can, it’s a good idea to try to find different versions of the same story. That way you can pick up different angles and ideas, cultural differences and regional subtleties. When you are going to tell a story, don’t tell someone else’s story. 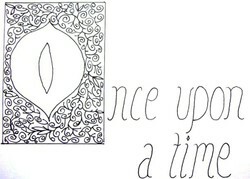 That is, if you read a fairy tale, memorize it and then re-tell it, that is not your story: it belongs to someone else. If you insist on telling a story that you have not edited and just memorized, know that this is not very common. However, you must contact the original author and get permission to use his or her story. It is a question of legality and copyright. Do You Think You Might Try Storytelling? In the same vein, if you modify or otherwise alter a story (by adding words or cutting out scenes) and but leaving the rest as is, you need to explain to the original author how you have changed the story. As you can see, putting a story into your own words when using other authors’ stories may not be the easiest route to go. Have some confidence – use your creativity and go for originality. Think of it this way: if you use someone else’s story, and you don’t modify it, then you need to get the original author’s permission to tell it (or at least the original copyrighter). In the next article, I will talk about creating original stories for storytelling. Lovely article on storytelling! Loved this piece! Mira - thank you so much!! I will post more articles soon. :) I promise. I loved doing this article and thank you so much for your feedback. cclitgirl, this is a nice article. Look forward to your next one! @Audrey - great to see you. I love telling a good story, hehe. Thanks for stopping by! @ Vicki - hi there! Great to see you. :) I love storytelling and intend to get into it even more. :) I love Tracy Chapman - she's one of my favorites. This is a great article, CC! you explain everything so well. I have never been good at storytelling, but your article inspires me just a bit. I really like Tracy Chapman's singing, too! I loved this article! I love telling stories too! And you make it sound so interesting! Vinaya! I LOVE telling stories. I could see myself doing just that one day. Thank you so much for stopping by and offering your insights and comments. :) Great to see you.